The famous media player Winamp will shut down next month, over 15 years after its initial release. Though Winamp eventually lost popularity, in the late ’90s and early 2000s it was one of the go-to media players for listening to local music or radio streams. 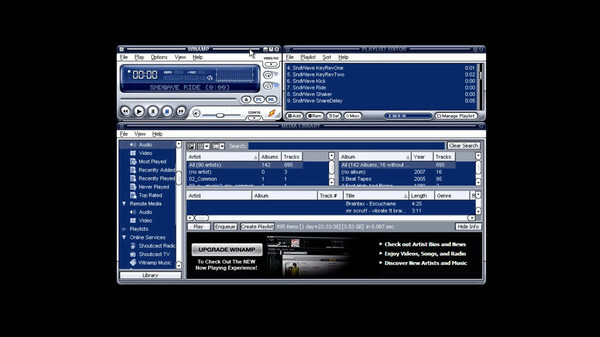 In 2002, Winamp’s maker, Nullsoft, was acquired by AOL for over $80 million in stock, where it’s remained in development until now. A Mac and an Android version were even released in recent years, though they never found the same fan base that its customizable Windows client did. No reason is given for Winamp’s shutdown, but its popularity has certainly waned: simple, built-in audio solutions like iTunes are now ubiquitous across platforms, making Winamp a far more specialized app. In a retrospective published last year, Ars Technica reported that Winamp had existed for years on life support, but that those involved didn’t believe it was dead yet. Now that it’s nearly gone, those who want to relive old times should head over to Winamp’s site before December 21st, when it’ll no longer be available — its famous motto, of course, will always live on somewhere. what happened to Rebecca Black? Is Justin Bieber Twitter Hacked?